Hurry, run to the freezer section of your nearest grocery store and buy these… they will change your life! They have 1 (ONE!) 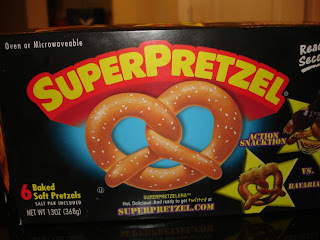 gram of fat per pretzel and they are OH-SO-AMAZING! If only someone would invent microwavable funnel cakes, I would never have to go to the State Fair again!